Superlofts is a revolutionary development & design model for hybrid co-housing communities that can radically improve the quality of cities and the way people live together. Superlofts projects address people with unique lifestyles looking for personalised spaces and a new way of living in the contemporary city, where Creative Freedom, Social Inclusiveness, and Healthy living are the fundamental values. 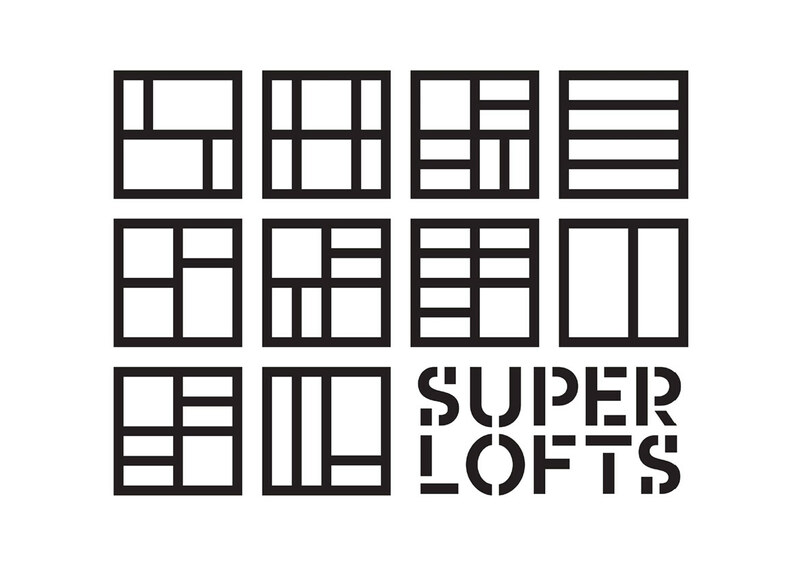 The Superlofts concept provides an open framework of action, avoiding the conformity of traditional housing. It creates a sense of communal urban living while providing the individuality that makes loft spaces so desirable. Superlofts offers a 6m tall (19,7ft) raw-space in which you can customize or self-build your dream home. This provides the opportunity to match lifestyle and budget for a variety of unique users and attitudes from compact studios to XL penthouses and from affordable ‘do it yourself’ to turn-key luxury. Superlofts become a kind of ‘urban villages’ with very diverse types of dwellings and vibrant user communities. They attract a niche-market of urban pioneers to the urban fringe where they become catalysts of urban development. Superlofts are radically flexible and thus resilient mixed-use buildings that can adapt over time to shifting trends and behavior. They are functionally hybrid buildings in which residential-, work- and ‘maker spaces’ blend into each other. They allow users to ‘grow into their home’ and make investments over time. They are based on a modular and prefab base-structure and flexible fit out system. This allows the interiors to be updated independently, tapping into the trend of healthy, circular and cradle to cradle building products. It supports a transition from ownership to leasing. Superlofts use the latest technologies in renewable energy, air purification, rainwater- and waste recycling and E-mobility. In Delft we go all electric, in Utrecht geothermal and solar; with each new site, we push the limits further. Superlofts is initiated by Marc Koehler Architects [MKA] and is applied by local professional partners, developers and user-groups, who form a worldwide network. Superlofts works with focus-groups who participate in the decision-making process in an early stage, resulting in uniquely crafted spaces and resilient co-living communities. In some cities Superlofts projects have been crowdfunded by the future homeowners, in others, developers and investors have stepped in. The model has proven to be highly adaptable to different sites. The Superlofts website connects Superlofts members in different projects worldwide providing a platform for exchanging ideas and inspiration in loft design, and green co-living. Superlofts is currently active in 7 countries. The flexibility of the open framework creates an opportunity to add common spaces or shared facilities at minimal costs. This creates social well-being while providing each homeowner with a unique chance to co-create and experience their own personalized home. With several projects currently completed and much more in development in the Netherlands and abroad, Superlofts is the evolutionary and customizable co-housing concept of the future that will soon meet the targets of the Paris Agreement. « Open Building Experience 4.: “Berkenkamp”, Enschede, the Netherlands, 1988.